Clone Records was founded by Serge Verschuur at the end of 1992. The Dutch DJ and producer experienced the 80's as a period in which a generation was anxiously looking forward for what was to come next. The new millennium was on everyone's mind, for some with fear, for some with eagerness. All of a sudden the music from the future, made by unknown bedroom producers expressing themselves through machines, had arrived. This futuristic music connected like-minded people all over the world and initiated an evolution in the world of electronic music. It inspired Serge to start his own imprint as an outlet for that same machine music. 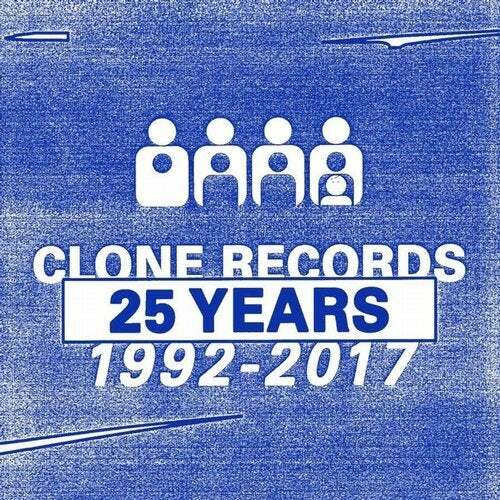 The first Clone Records release by Dutch techno group Orx was a fact in late 1992. In the next decades a new generation was setting the pace. A minority of Techno- and House music lovers had grown into an established movement. The future was no future anymore; it had become the present and therefore it seemed less exciting. People started looking at the past again to relive the early days of electronic dance music. In the meantime the small Clone operation had transformed into a successful record label with a record store and distributor as a solid side business. Now, 25 years later, Clone Records is still doing business its own way, releasing music that excites the men you never see. With a heart for the classic and an ear for the new, the label is looking at the future again. This Clone Records chart consists of some of the most influential tracks in its history and captures the diversity of the electronic music label and all its sub labels.